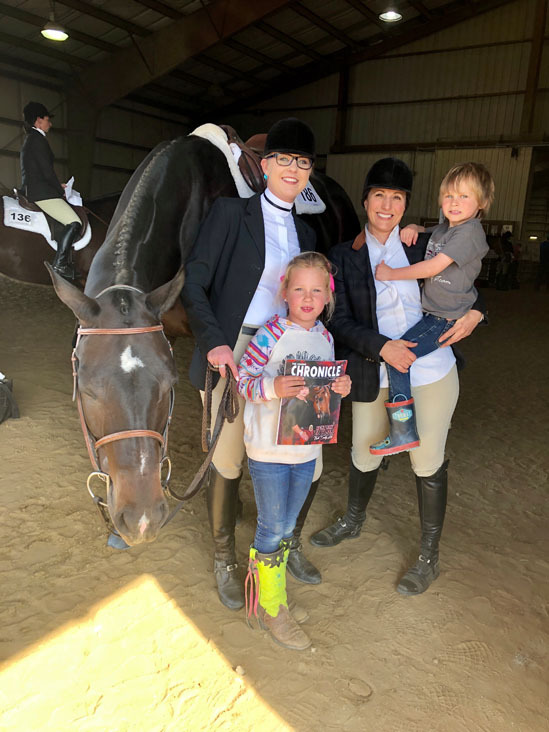 The 2019 Martinganza Quarter Horse Show and Futurity recently took place in Williamston, NC. with four days of AQHA approved classes and plenty of added money futurities in a wide variety of disciplines. Winning the Green Trail added money class was Laura Owen with Zipposhandsomedevil, receiving $84.38. The Reserve Champion was Erin Cecchini with A Cool Beat for Vincent Scileppi, receiving $65.63. Third place was Julie Schmidt with Beyond Expectation for Lila Owens, receiving $37.50. Winning the Non Pro Trail was also Lauren Owen with Zipposhandsomedevil, receiving $157.50. The Reserve Champion was Taylor Ramsey with Ruby Due Good, receiving $122.50. Third was Hannah Stanley with Dee Lighted Version, receiving $70. Julie Schmidt and Beyond Expectation were the Green Western Pleasure Champions, receiving $112.50 for Lila Owens. The Reserve Champion was Pierre Briere with Busy Being Best, receiving $87.50 for Rosa Byrnes. Third was Alan Fisher with Lacey Red Dress, winning $50 for Shannon Fisher. Vincent Scileppi rode A Cool Beat to win Non Pro Western Pleasure and $84.38. The Reserve Champion was Haley Cunningham with Sleepless To Night, winning $65.63. The winner of the Green Hunter Under Saddle was Tami Thurston with Marey Poppins, receiving $146.25 for Jennifer and Christine. The Reserve Champion was Erin Cecchini with A Cool Beat, winning $113.75 for Vincent Scileppi. Third was Jessica Page with PSU Dynamic Machine, winning $65. The Non Pro Hunter Under Saddle Champion was Reaghan Griffin with Ironized, receiving $75. The Reserve Champion was Cynthia Butler with Im On One, receiving $50. In Non Pro Equitation, Brittney Tasto rode Sports Lounge to win $84.38. The Reserve Champion was Lorren Fugal with I Got Bigshoestofill and $65.63. Third was Anna Roberson with Party In The Breeze and $37.50. Dana Lanning and Chex Are Cashin won $180 in the Non Pro Ranch Riding. The Reserve Champion was Julie Rogers with Shiners Surprise, winning $140. Third was Laura Owen with Three Turns and Run, winning $80. The Green Ranch Riding was a split tie between Steve Meadows with HP Docs Flamin Hot, winning $100 for James Norrison, and Steve Meadows with Chic Out My Freckles, winning $100 for Noel Meadows. There was a tie for third place as well between Tony Burris and Reycn On The Bay, winning $25 for Shawn and Deborah, and Chris Rice with Cruzn On A Mercedes, winning $25 for Kimberly Brittenham. 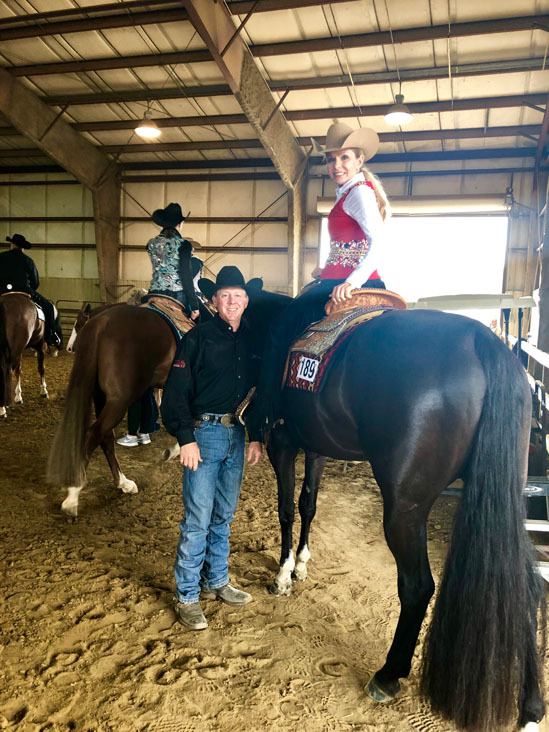 Brent Grantham rode Lucky Easy Dunnit to win $75 and the Green Reining Championship. The Reserve Champion was Matthew Thomas with Wave Ridin Babe, winning $50 for Sabrina Craker. Click on the links below to complete added money class results.